Dress up your table with this Midnight Lace Tablecloth. 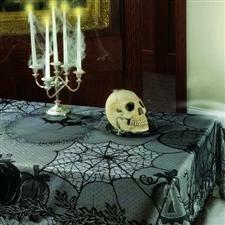 Features a black lace tablecloth with Halloween design. For the most dramatic look place over a solid color tablecloth.